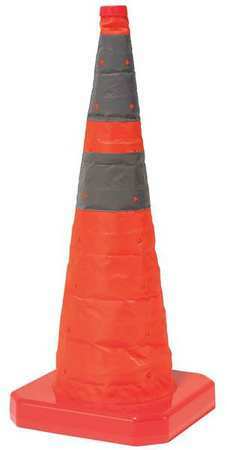 Portable orange collapsible traffic cones are available in 18″, 28″ and 30″ heights and 5 packs. Sold individually or in five packs and made out of durable heavy duty polyester, these collapsible cones meet MUTCD requirements. 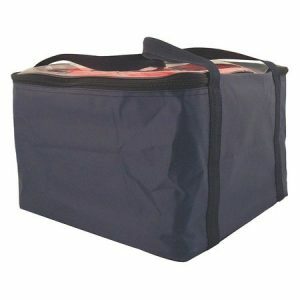 They are convenient and ideal for use by truck fleets, safety forces and law enforcement or where ever storage space is at a premium. 30″ Pack N Pop Cones have 4 internal LED’s, black rubber base, and includes (2) AAA batteries. 28″ Pack N Pop Cones have 1 internal LED, orange plastic base with black rubber feet, and includes (2) AAA batteries.